MIAMI – March 13, 2017 – Today, Celebrity Cruises delivers a first look at the transformational Celebrity Edge, whose dramatically expanded staterooms, ship-climbing Magic Carpet platform and stunning suites set a new standard for ship design. 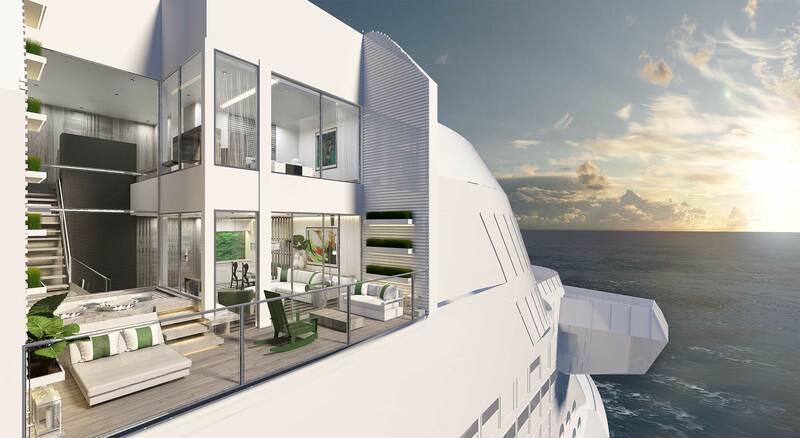 Designed completely in 3-D, and featuring the work of A-list global architects and designers, the 2,918-guest Celebrity Edge aims to make discerning global travelers redefine how they experience the world and how intimate a vacation can be. 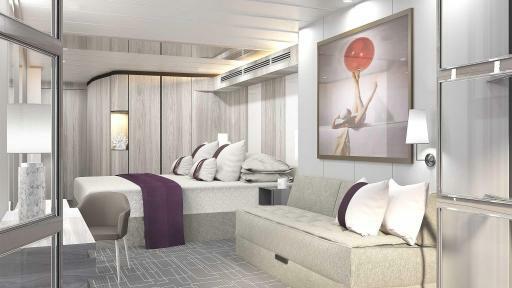 Revolutionary staterooms erase the boundaries between the traditional ship stateroom and its veranda, creating a closer connection to the ocean. 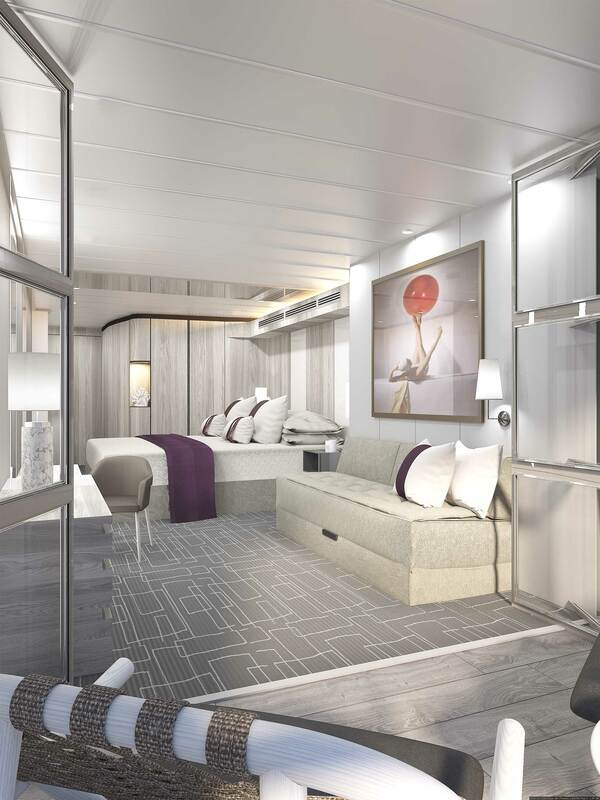 The new Edge Stateroom with Infinite Veranda turns guest quarters into a seamless space, from the room's door all the way to the water’s edge. The simple touch of a button gives guests open-air access to the sea, bringing the outside in and the inside out. With the touch of another button, guests can take complete control of their stateroom and personalize everything from lighting, shades, temperature and service – even choosing a setting to tuck them in or gently wake them. 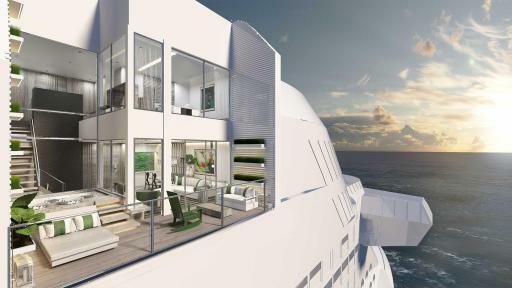 The design adds 23 percent more square footage and 10 percent larger bathrooms than Celebrity’s Solstice Class. 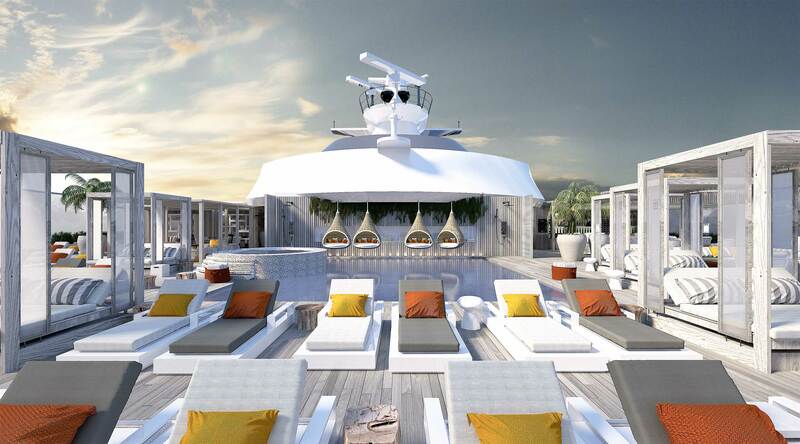 The ultimate sanctuary for world travelers will be the new private utopia called The Retreat, featuring a private pool on The Retreat Sundeck. Also part of this special space is The Retreat Lounge, which brings heightened levels of style and sophistication to Celebrity Edge and boasts around-the-clock personal butler service, and the exclusive Suite Class restaurant Luminae @ The Retreat. With Celebrity Edge, Celebrity has more than doubled the number of available suites, adding two spectacular new categories. At the top of the line are two new Iconic Suites situated above the ship’s bridge. These near 2,600 sq. ft., two-bedroom, two-bathroom suites feature mind-blowing views thanks to panoramic windows enveloping the dining room, living room and bedrooms. The 700 sq. ft. veranda offers a 270-degree view of the ocean. Another new Suite Class comprises six split-level Edge Villas, which offer stunning views from two stories of windows, private plunge pools and direct walk-out access to The Retreat Sundeck. Hoppen also designed the two two-bedroom, two-bathroom Penthouse Suites with large soaking tubs on the veranda, large dual walk-through showers, and expansive walk-in closets, and the 146 large, outward-facing Sky Suites. All suites and double occupancy Edge Staterooms are fitted with exclusively designed plush king-size cashmere mattresses – an industry first – and offer personal butler services and access to The Retreat. Celebrity Edge will homeport in Fort Lauderdale, FL., making her first sailing December 16, 2018. Bookings are now open at www.celebritycruises.com/edge, or through a travel agent, for the ship’s two 7-night itineraries. An eastern Caribbean cruise visits San Juan, Puerto Rico; Tortola, British Virgin Islands; and Philipsburg, St. Maarten. The western Caribbean calls on Key West, Florida; Costa Maya, Mexico; Cozumel, Mexico; and George Town, Grand Cayman. Travelers will also have the option to book back-to-back sailings for a 14-night journey. 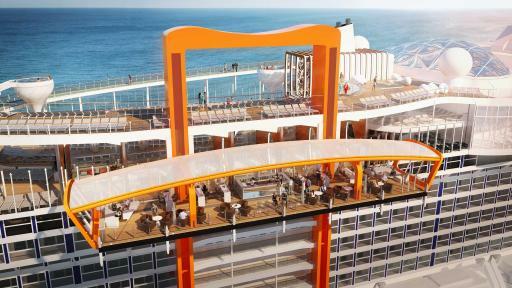 Celebrity Edge will be joined by three sister ships in 2020, 2021 and 2022.